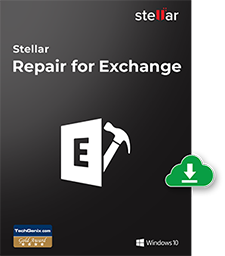 Stellar Repair for Exchange easily fixes logical corruption in Exchange mailbox store databases (or .EDB files) and restores inaccessible mailboxes as Outlook PST files to a user-specified location. This Exchange mailbox recovery software addresses all cases of EDB file corruption using a non-destructive approach to make sure your data remains unaltered. The tool is apt for repairing any file-level damage as well as correcting errors at the application and database level. Stellar Repair for Exchange supports recovering multiple EDB files at a time and allows you to search for particular mail items from the recovered files. The software also has an option to export recovered file to Live Exchange mailbox. With an intuitive and easy-to-use interface you can preview the mail items before the actual recovery. A handful of user-friendly options such as selective recovery of mailboxes in a desired format make the most of the software without prior knowledge or experience. Stellar Repair for Exchange helps you regain access to lost emails, contacts, attachments, calendars, notes, and journal entries. The software also works fine with Windows 10 / Windows 8 / Windows 7 / Windows Vista / Windows Server 12 / Windows Server.
" The EDB recovery process of this software is quite easy and fast and took less than one hour to repair and restore my 17 GB database with more than 43,000 files. All my significant data are now accessible. An excellent Exchange recovery software."